I love hobo style bags with a slouchy but classy feel to them. This Coach pebbled leather hobo shoulder bag fit all those points. The pebbled leather is incredibly soft and feels very luxe to the touch. That’s an advantage over the stiff Safiano leather, if you prefer a soft leather against your body. It’s a large handbag but not too large. I’m 5.7′ so it’s perfect for my frame. It fits all I need and more ! It has two inner slip pockets on the front of the bag that are perfect for holding small electronics such as the iPhone 6 and other items. 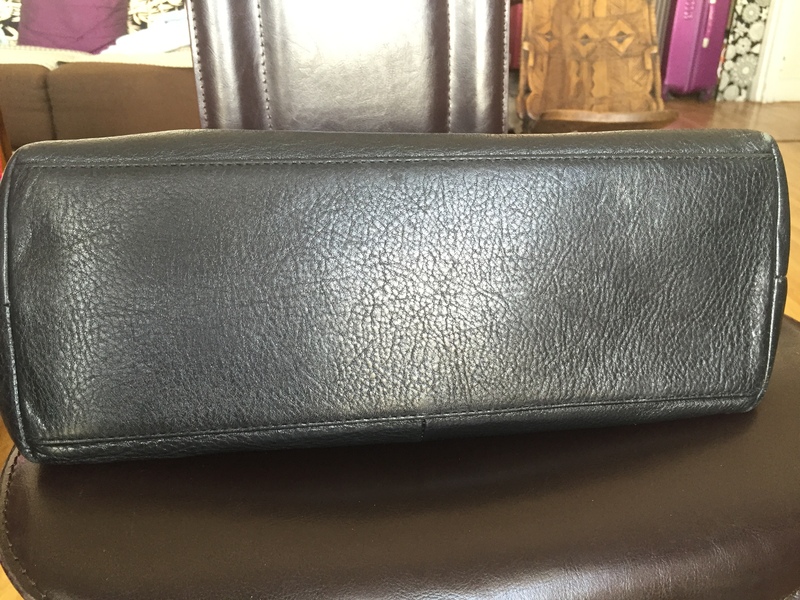 It has a back zip pocket that is quite large and can fit a small wallet and keys. 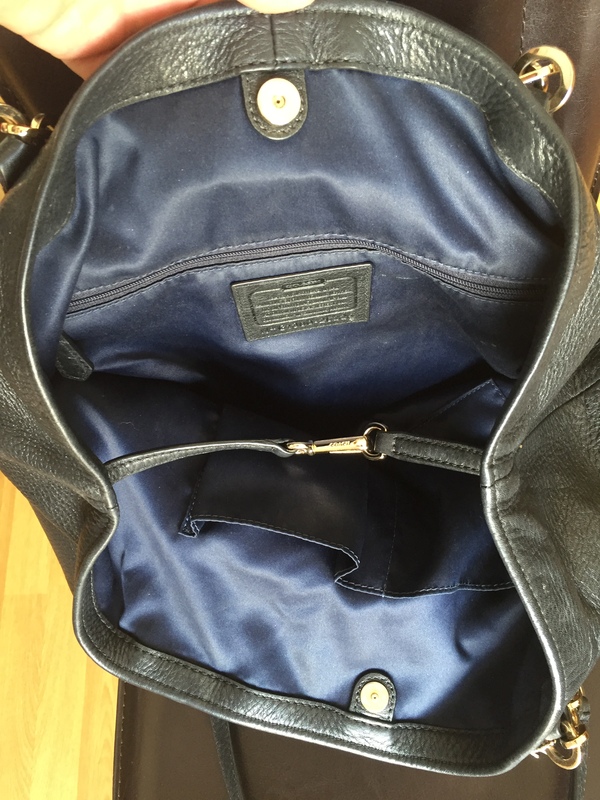 Then you have the huge main compartment of the bag with no separations whatsoever. 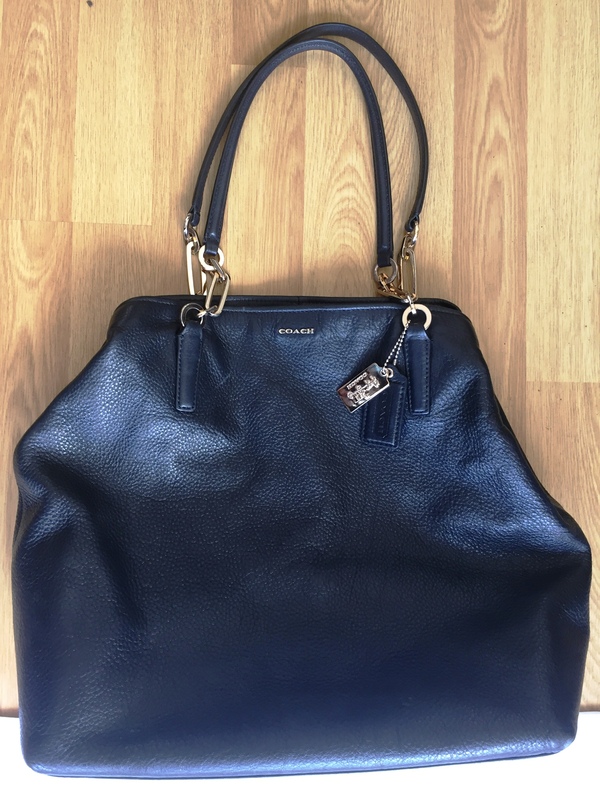 So if you like having the option you can easily fit large items in this bag without being hindered by a middle zippered compartment like with the Tory Burch York Buckle Tote. However if having a huge hole makes you afraid you’ll never find anything in it you always have the option of using a nifty purse organizer. I swear by mine and did a post recently on it. I love that this bag is very easy to get into. I used to have a Burberry bag that would have zip closure. 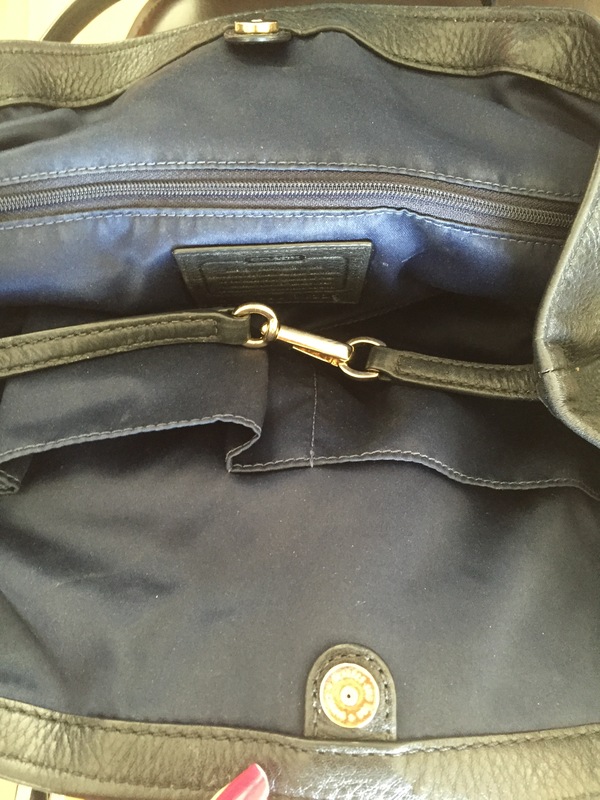 A zipper is easy to use, well believe it or not sometimes I would just leave my bag open because opening and closing the zipper was a hassle especially if I needed to reach into the bag without taking it off my shoulders. This bag has a magnetic closure (my favorite kind) in the middle of the bag opening. If I need to stick my hand in, it’s very easy to do. 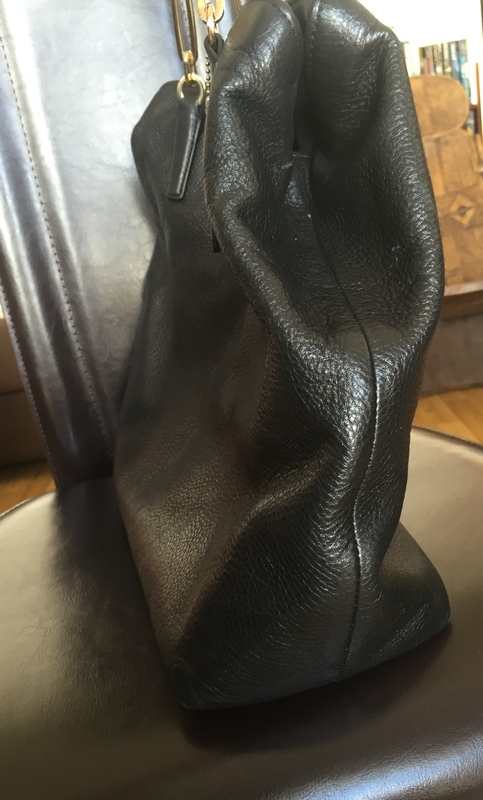 I also used to use a Longchamp bag that a curved opening that followed the signle handle. This made it awkward to get in and out of the bag as you couldn’t open it very wide. So I really appreciate how nicely it opens up enabling you to see what’s in inside easily. It also has a fastening from the sides with a gold hardware clip in the middle. 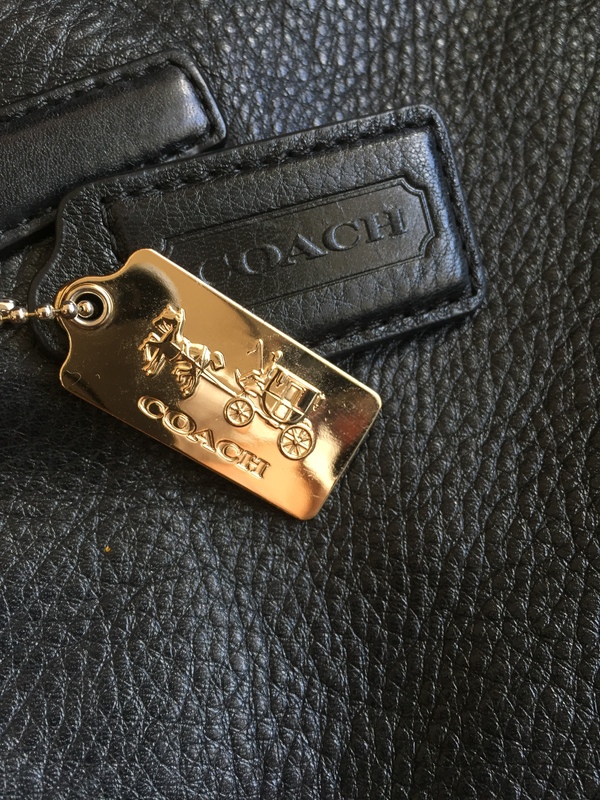 The clip is engraved with the Coach logo. 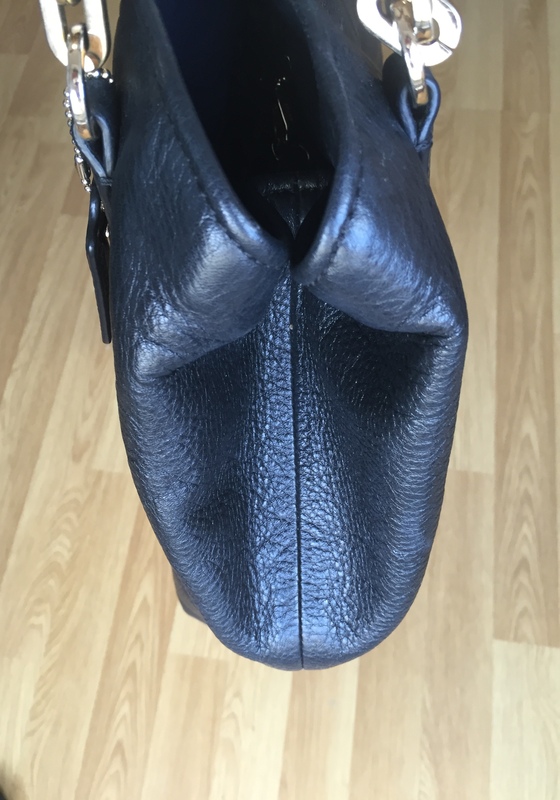 This serves a dual purpose of keeping your bag from opening too much but also keeping the shape of the bag intact. It helps structure the sides of the bag as well. I love that the slouchy feel doesn’t go over board where you end up with a shapeless bag which isn’t a cute look ! How ever should you need to carry large amounts of documents of a really bulky item, the clip opens and lets you expand the bag accordingly. There are two handles that are pretty long, so it can be worn over outerwear without any difficulty. The handles are slightly padded for comfort. A shoulder bag is must for me, as I can’t stand handbags that can only be carried by the hand! I also don’t love the cross-body style for larger handbags. That’s just personal preference, I think cross body works best for smaller bags or clutches such as wallet-on-chaines. The gold hardware on the bag is very classy and understated. You have some on the logo that is discreet, on the handles where they attach to the bag and on the bag charm. But the bag charm is a twosome with gold hardware tag and leather charm tag as well. The interior fabric lining is a nice deep dark blue with the Coach creed patch. 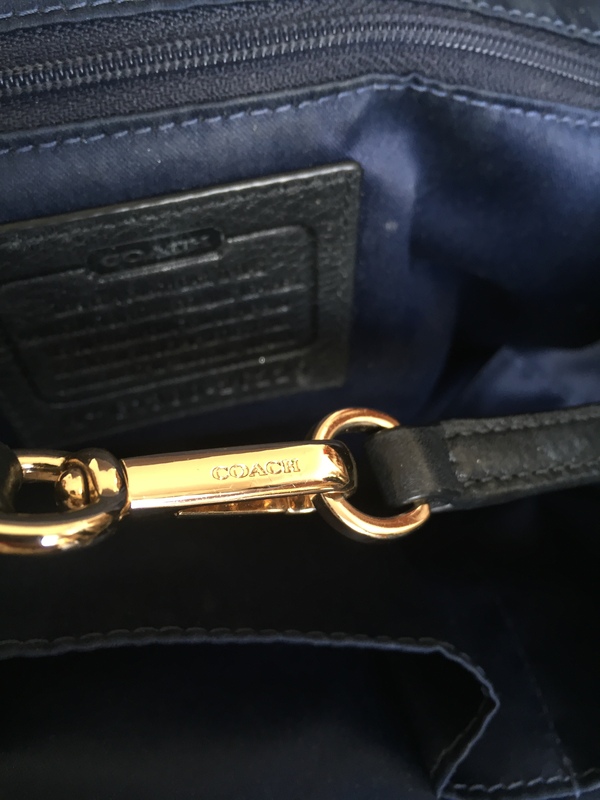 Since 2014, Coach handbags have veered away from serial numbers embossed on a leather tag. The following information applies to styles prior to 2014. Registration numbers found on Coach creeds, usually contain 3-4 characters (number/letter combo) followed by the style number that is 3-6 characters long. 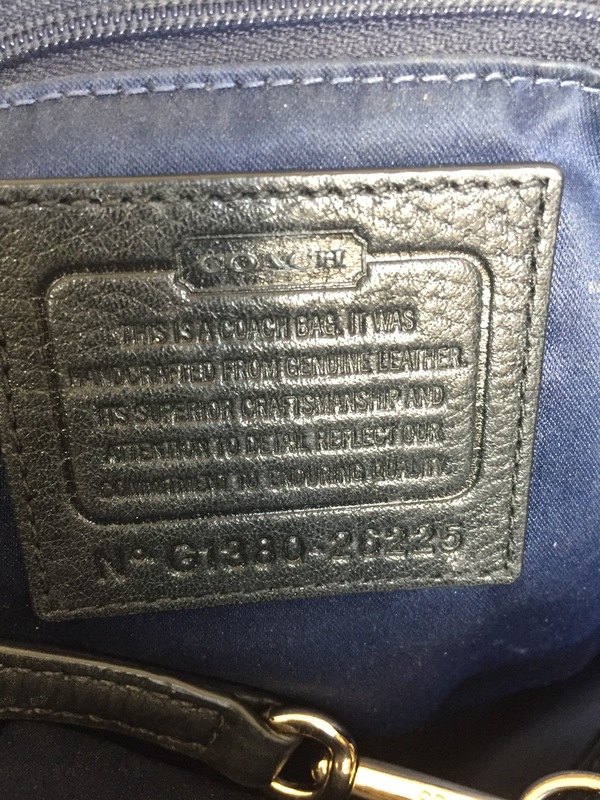 Example: registration number F06S-8A16 is assigned to a large suede hobo bag that was made for the factory stores. The first group of numbers contains the year that the item was made. The “06” in F06S represents the year 2006. The second group of numbers is the style number, 8A16. A style number that is prefaced with “FS” denotes a Factory Style. My registration number reads G1380-26225. lack of a D-ring : this can be quite useful but none are included : you can alleviate this lack by using a purse organizer with such a feature. This keeps it from being to big of an issue in my opinion. no feet : As you can see in the picture this bag has no feet and smooth bottom. This means you might scratch you bag depending on where and what surface you put your bag down. It’s a very comfortable bag to wear and it also finishes out an outfit nicely. This is a great bag for going to work or even going out at night for dinner or an occasion (but not for dancing haha!). What handbag style is your favorite? That Coach bag is gorgeous! Coach always has such classic bags. I just bought a vintage Coach bag, can’t wait to get it! Thanks for your nice comment. 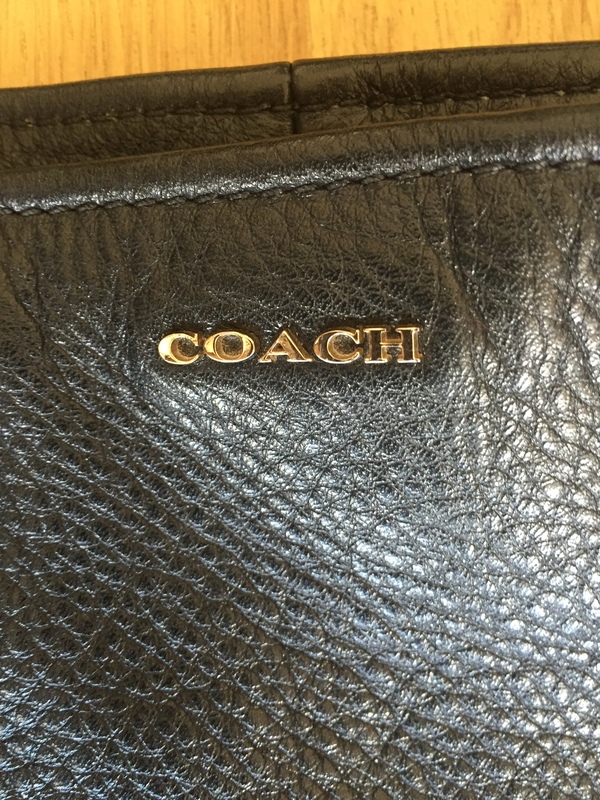 I love Coach handbags and would love to see a picture of the one you just bought. Will you be making a post about? I’d sure check it out. My daughter bought a coach bag and she loves it. She won’t set it down any where to get dirty and keeps it by her side! nice post! Thanks I love handbags haha do you know which one she got? That is a beautiful bag! Coach will always be a little special to me because a purse I got as a Christmas gift one year was my first high end fashion brand item in my closet ever! (Hey I should make a post about that, lol). 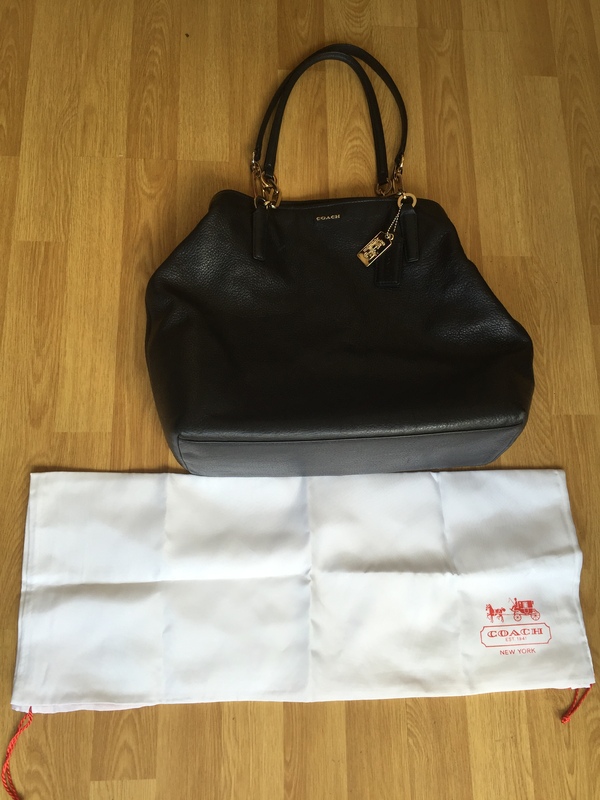 Great post love and amazing bag! Previous Post My favorite fashion app : Stylebook !